One of the participating startups ran a trial within CoLab and one team secured a commercial relationship with SB&G. Another startup continued to collaborate with the company on a long-term project. CoLab also helped SB&G to identify a better way of structuring their management and security framework, which will speed up Proof of Concept for emerging technologies. One of the participating startups ran a trial during the programme with one startup continuing a commercial relationship with SB&G at the end of the accelerator, whilst another continued a research relationship on a long-term project. Through the programme, SB&G also identified a way to better structure their management and security structure that will better allow for quick proof of concept for emerging technologies. 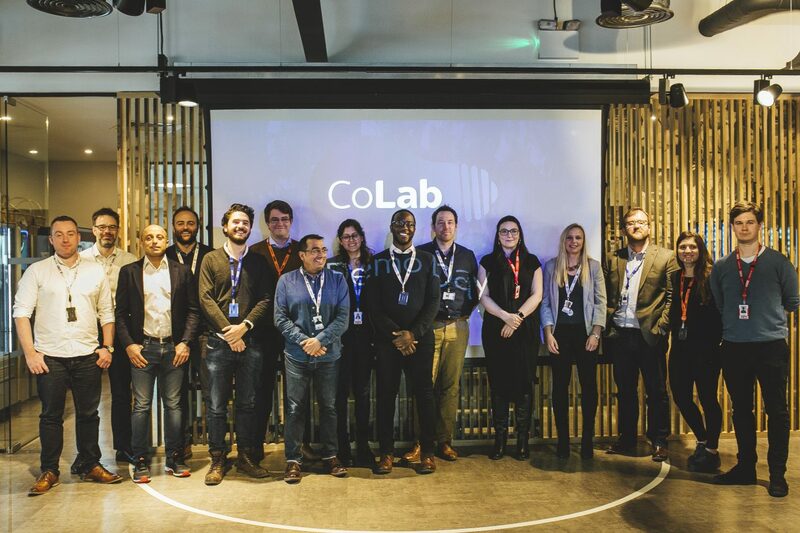 “The CoLab programme was created to help us exploit new opportunities in emerging tech through early stage collaboration with startups from around the world. One of the primary objectives was to create shared learnings, we wanted these companies to help us disrupt ourselves and challenge the way we work today. Not only have some of these companies been able to turn our tech blind spots into profitable learning opportunities, they have reminded us about the importance of staying agile in our thinking, and the importance of creating time and space to experiment with new technologies. With e-bot7’s hybrid artificial intelligence system, companies are able to engage with their customers more quickly. By automating responses for the most standard, repetitive issues, e-bot7’s system frees up customer services employees to focus on more complex customer enquiries. Corporates save time and money and customer service employees enjoy greater job satisfaction. Since participating in CoLab, e-bot7 have gone from strength to strength. Having trialed the system with SB&G during the programme, the team secured a 3-month trial commercial contract with the company to achieve Proof of Concept. If successful, SB&G plan to offer a full commercial deal, which would make the company e-bot7’s first UK client.